A tense encounter in a mysterious forest in this one-off Misty tale, The Forest of Fear. But who hid the darkest secret? 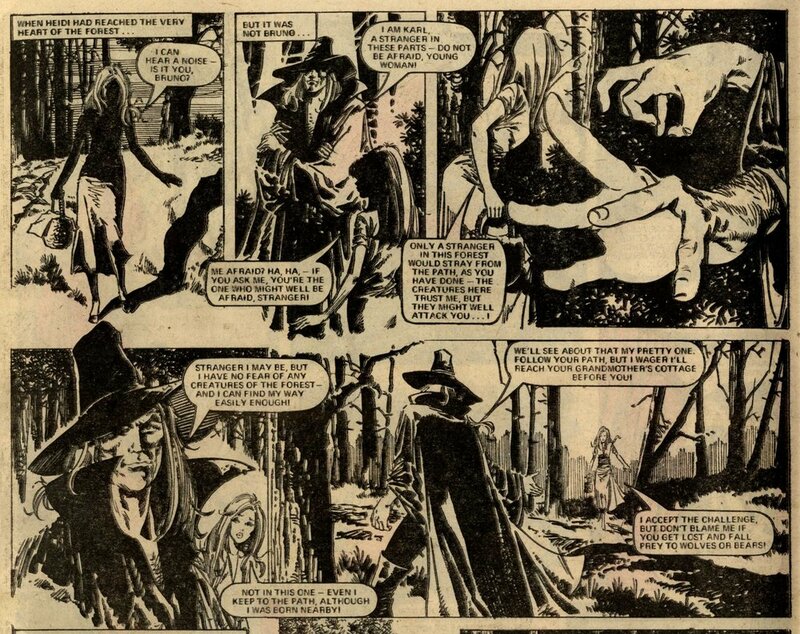 The cowled stranger was a werewolf, but the final panel revealed young Heidi Klimtto be a vampire. Art by the wonderful Jorge Badia Romero. Misty, On This Day, The Forest of Fear?